If you are looking to take your health and body to the next level, Wards gym Nutrition Consultations are your answer. They are 100% customized to the individual and their desired goals- from increased athletic performance to weight loss and anything in between! The package includes step by step, easy to follow & understand meal plans, based wholly on science backed evidence, with a focus on educating the client, giving them the knowledge and confidence to make great decisions to carry through their dynamic life ahead. The consultations work in a package of 3 sessions, set over the course of 4 weeks. This 45/ 60 minute session will focus on the clients nutritional and health goals, current general health and digestion, lifestyle (exercise, work, stress levels, sleep patterns etc), current eating habits (including appetite, food intolerances and preferences, and other factors which may influence your buying and eating choices). The end of the session will conclude with your practitioner taking away a wealth of personalized information, then they will spend time integrating it with current scientific evidence, to come up with your best possible personalized nutrition plan. This 45/ 60 minute session will cover a broad range of nutritional topics relevant to YOU and go over your step by step personalized nutrition plan. At the end of this session you will be given a printed copy of this information, which you can refer back to at any later stage. This consultation is taken at your convenience, either via phone, Skype or over a series of emails. This consultation focuses on any challenges you may be facing with the new nutritional plan, provide support and offer accountability. Any adjustments can also be made and additional questions answered. At the end of this session you will walk away with a nutritional plan that is working towards your pursuit for optimal health. For those needing further support, there is also extra follow up consultations. These can be staggered at any interval (usually once per month or every 6 weeks), and is a great option for those who work better when they have someone to support and check in on them and often provide better accountability. 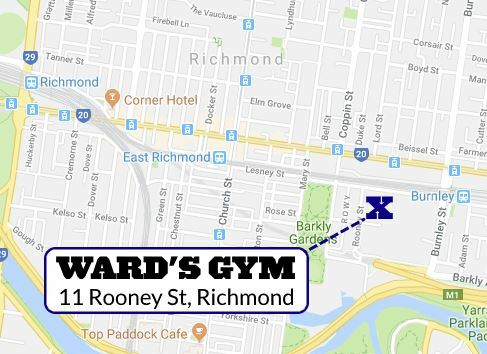 For more information or to book your nutritional consultation please email Marika@WardsGym.com.au or call on 0413 006 093.